Melanie Reich holds a Bachelor or Fine Arts in Acting and a Bachelor of Education from UBC, as well as her BC Teaching Certificate. 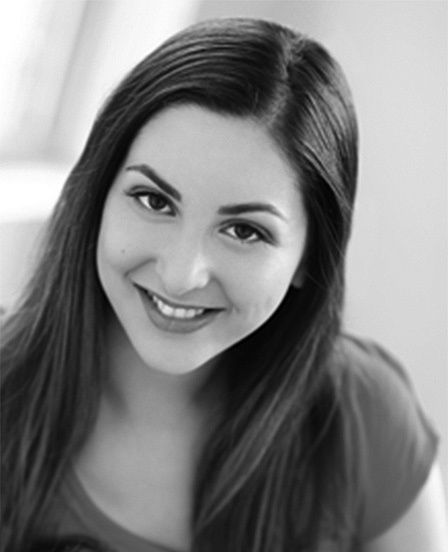 She also received a Diploma in Theatre from Douglas College and participated in Canada’s National Voice Intensive. Her special skills training includes Ballet (Checetti and R.A.D.) and Contemporary Dance Styles, Commedia dell’Arte, Laban Movement, Suzuki, Viewpoints, Neutral Mask, Historical Dance, Singing, Shakespearean Performance, Standard Stage Speech, American Dialects, British Dialects, and Voice-over. She is a cofounder of Bright Young Theatre, and co-wrote/produced/directed and performed in BYT’s Miss Cosmos: The 53rd Annual Intergalactic Space Bride Competition at the Vancouver Fringe Festival. Credits include: Cecily (The Odd Couple) with Main Street Theatre, Daphne (Present Laughter) with United Players, Denise (Problem Child), Jean (Canadian Gothic), Deedee/Nun (Trial of Judith K.), Polyxena (Hecuba) with Theatre at UBC and Sue (Bash) with Two Plank Productions. Melanie has worked as a respite caregiver and is committed to helping create opportunities for people with special needs to engage in arts related activities and to find ways of facilitating meaningful collaboration between people of all abilities.